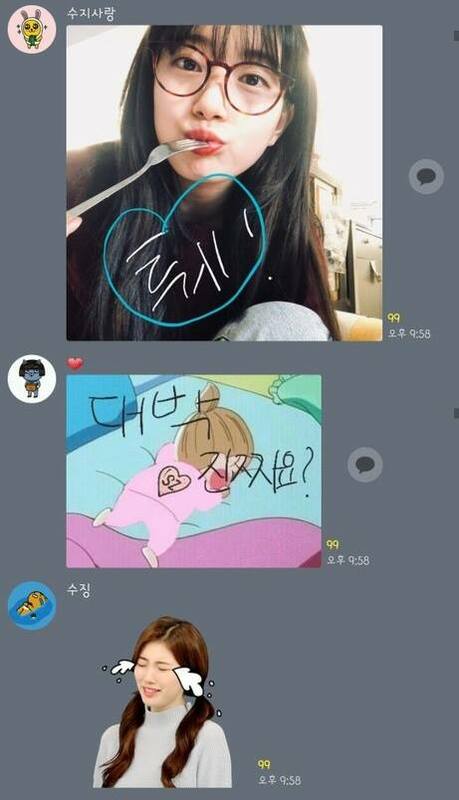 Suzy was failed to prove to her fans that she is the "real" Suzy entering the fans' chat room. Recently, it has become a trend(?) that idols joining their fans' open chat room in Kakao Talk. Open chat room lets anyone join a chat room with the click of a link. There's no need to provide your mobile number of Kakao ID, so it's quite safe. Several idols such as SHINee's Taemin and Key have also done the same thing, and they have also failed to ensure fans that it was the real them talking in the chat room. Suzy entered the chat room with the nickname of 'Suzing,' and she said that she is the real Suzy. However, people inside the room did not believe her and kept ignoring her. 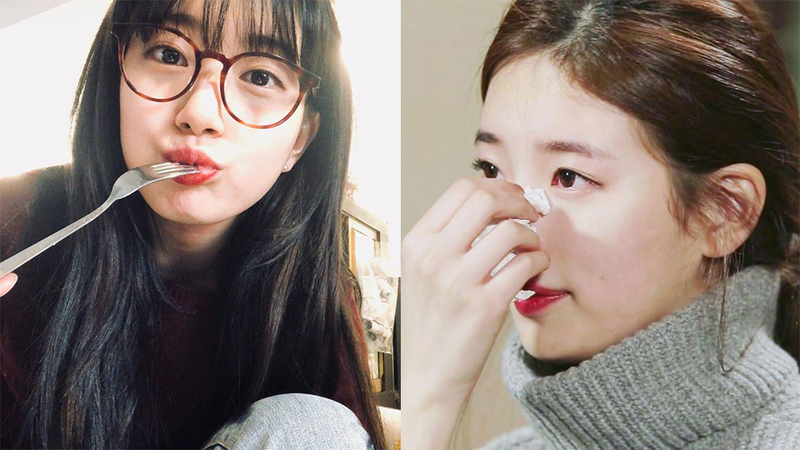 Willing to give an "evidence" that she is the real Suzy, the idol-actress uploaded a selfie of her. One fan then replied, "Where did you get this selfie? I have never found it before." 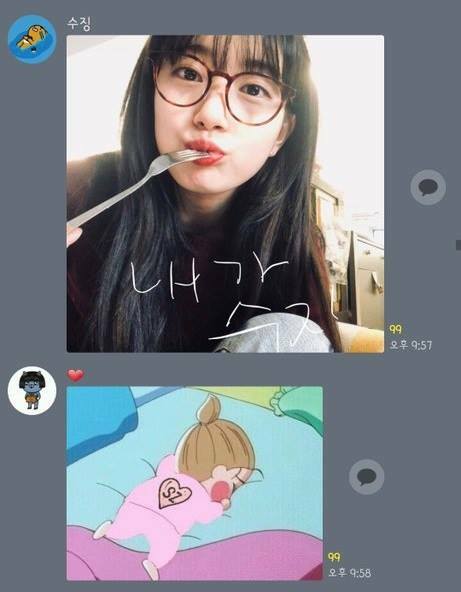 Suzy replied, "I have just taken it." Unfortunately, most of the fans still did not believe in her. One fan even warned her, "Please don't joke around." Eventually, Suzy gave up and she bid goodbye in the chat room, "I will come back, bye." 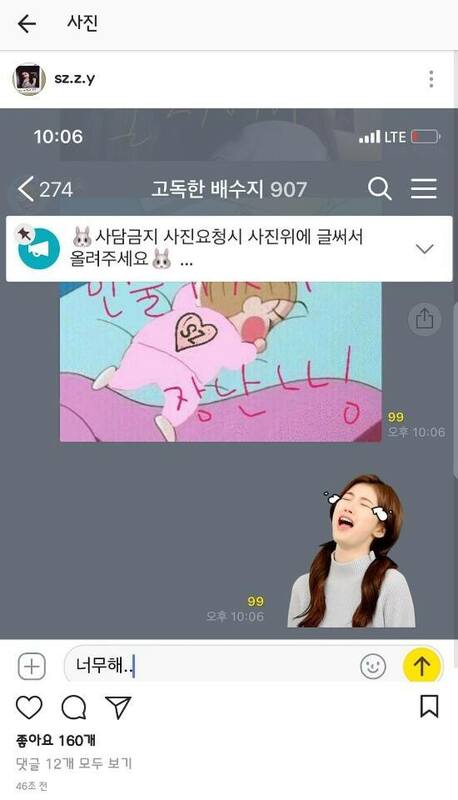 Later on, it was revealed that 'Suzing' is the real Suzy, as she uploaded the screenshot of the chat room on her Instagram. It was too bad that fans did not believe in her, right?